Today’s post consists of a small part of my endless personal stationery wishlist. I recently came across a company who sell a stunning selection of products that caught my eye immediately, so I decided to share it with you all. 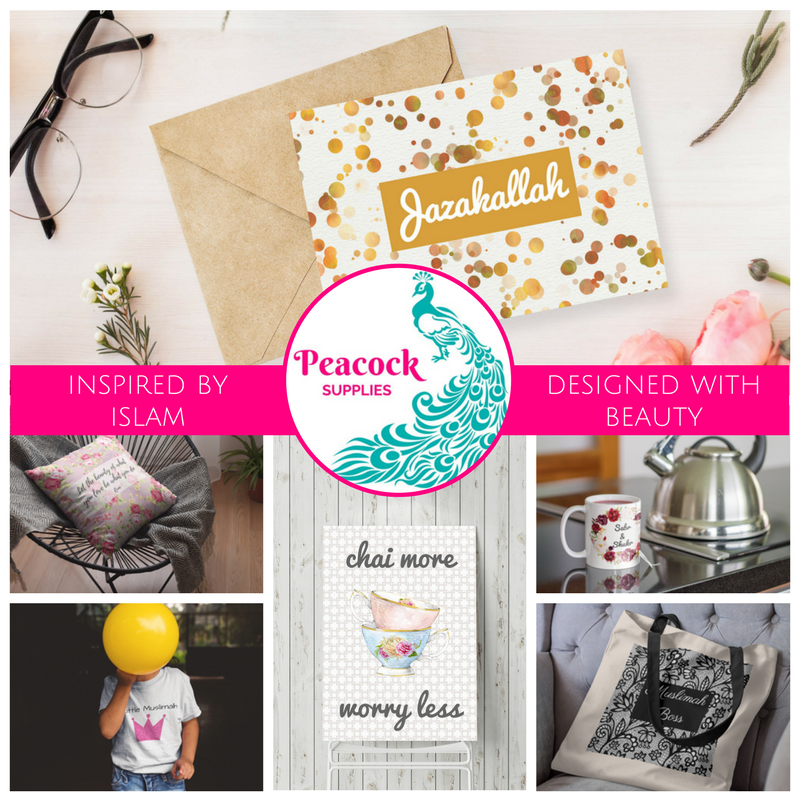 Peacock Supplies (the wonderful company I came across) sells products that are inspired by the lifestyle of Muslims across the world, and so integrate this theme into their products using slogans. I was so excited to discover that there is a company out there expressing faith in such a creative way! Amazing! Here are a handful of my favourite products amongst many. Click the image to view the product on the shop’s web page. This post contains affiliate links. However, all opinions expressed are my own. The bookmark below caught my eye straightaway… I mean, look at that gorgeous watercolour effect and the calligraphy further enhances the appeal. I don’t know about you, but I love anything pastel! Another product I liked the look of was this sticky notepad. Again, I love the watercolour aesthetic. And finally, this beauty. This would be immensely useful to students (like me) who need to prioritise their work and stay on top of it. In fact, it would benefit anyone who needs to stay organised! The fact that it’s so pretty only helps… and it’s priced at just £4.99! Do let me know if you purchase any of these products! I would love to hear your reviews of them. What’s your favourite stationery retailer? Posted in HomeTagged bookmark, islam, islamic, muslim, notebook, review, school, stationery, workcomment26 Comments on Stationery Wish List! I love stationary! I will have to check out this brand for sure! These are so pretty yet totally practical!!! I love any kind of organization or office supplies! These are super cute! I like these, I haven’t really gotten into much stationary so I have a few thank you notes from Target and a planner from Erin Condren. I love these suggestions tho!